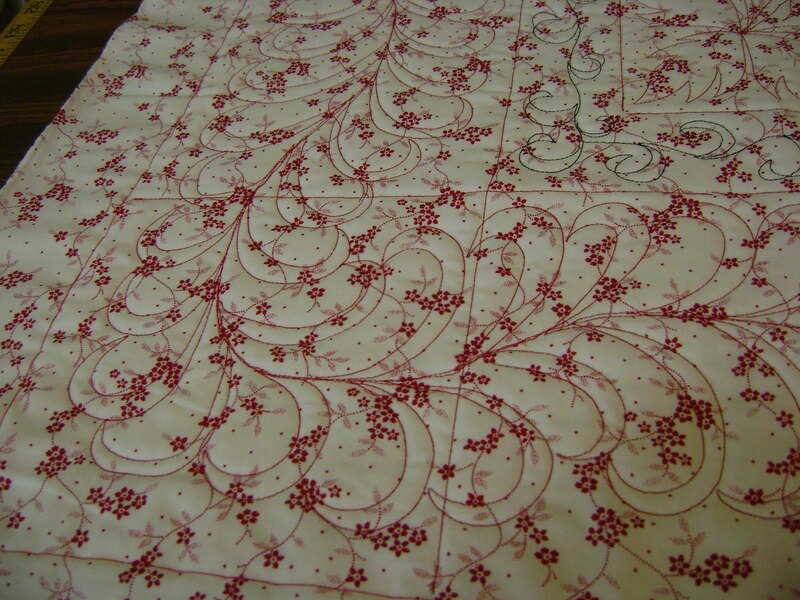 The next quilt. It’s an issue quilt. I finished it early this morning but the lights in the studio are bad. Not enough light to take good photos. I had to wait until later in the day to get light from the windows. The thread doesn’t show up well on the front. It’s hard to get a closeup of the stitching. The back is much better to see the design. This is the setting triangles. This is the outside border and the inside border. 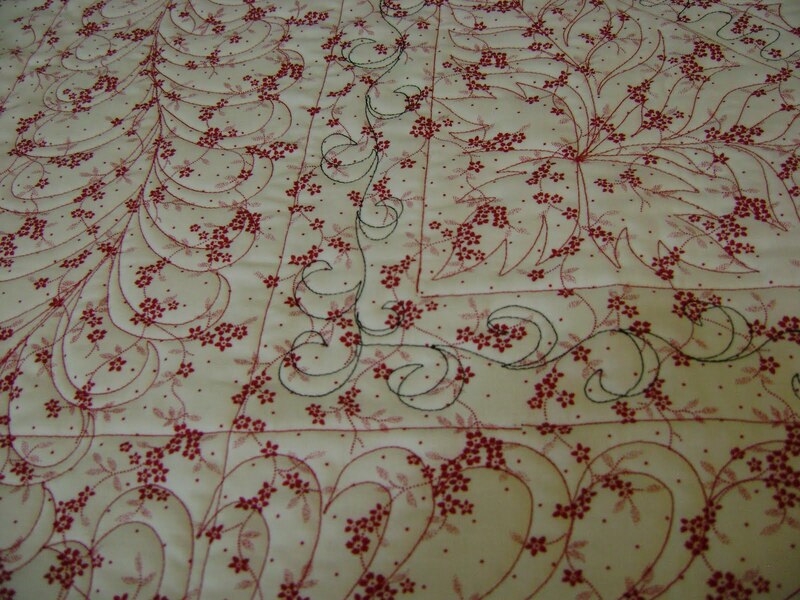 Another look at the border designs. Finally, a view of the block from the back. Simple line dancing. 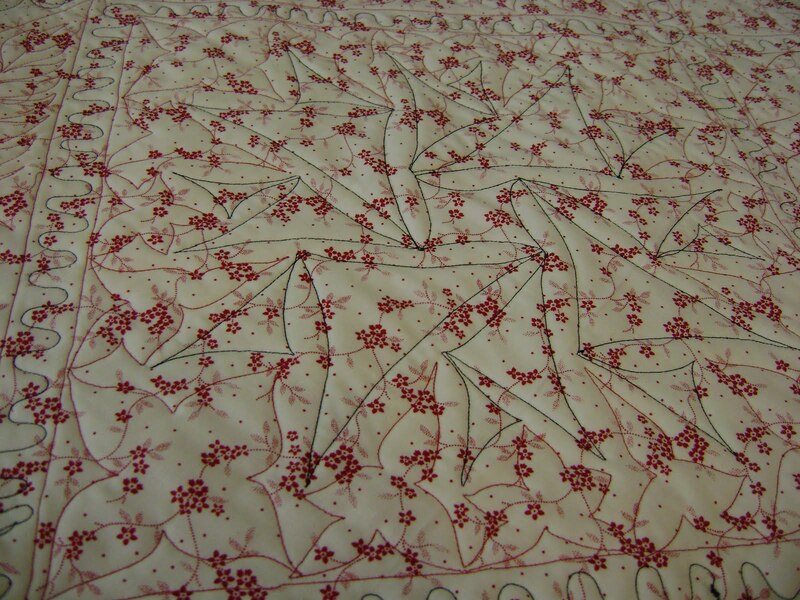 The quilt might have had “issues”, but it is stunning! 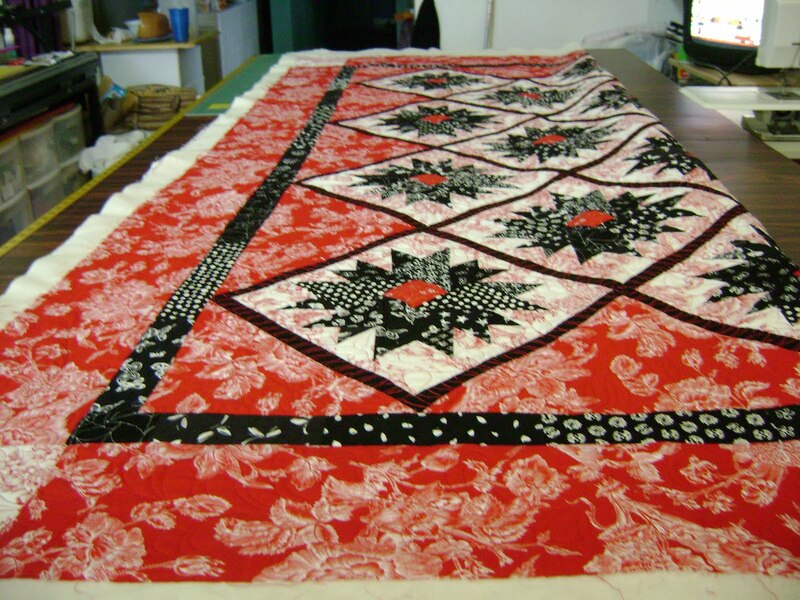 My friend Janie would LOVE that quilt. 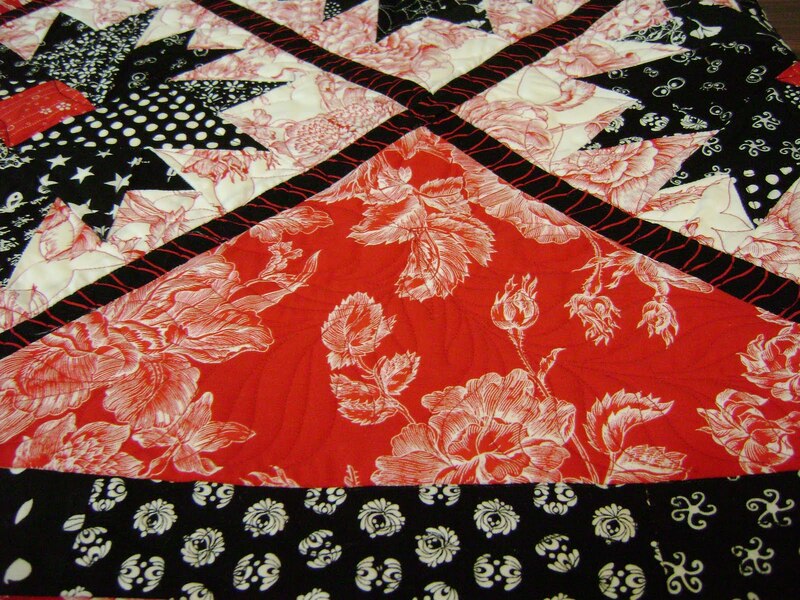 Black & red quilts are her favorite. I like it too. 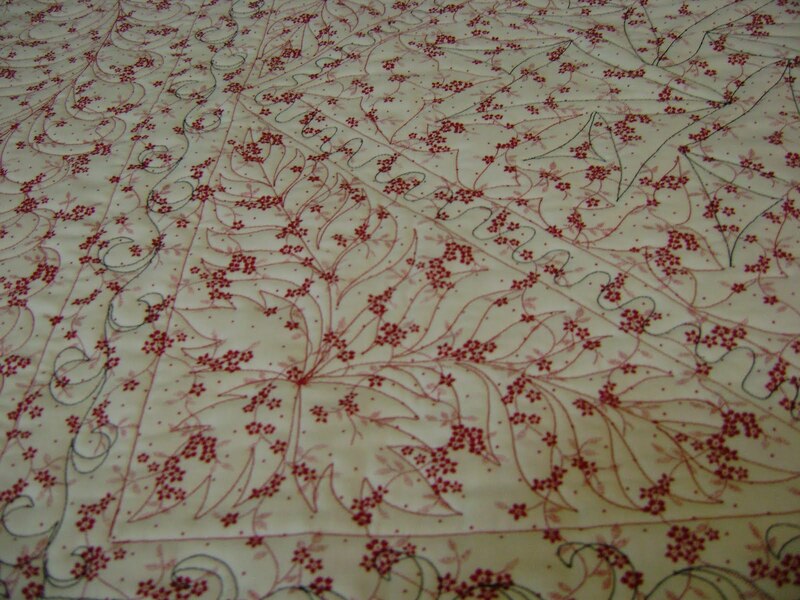 This entry was posted on October 13, 2009 by Anita in Customer quilts 2009, QUILTS - CUSTOMER and tagged Custom machine quilting, Custom quilting, Customer quilts, Longarm quilting, Machine quilting, Professional machine quilting, Quilter for hire.